The Harley-Davidson Bocce Ball Set makes a great addition to your outdoor game collection. 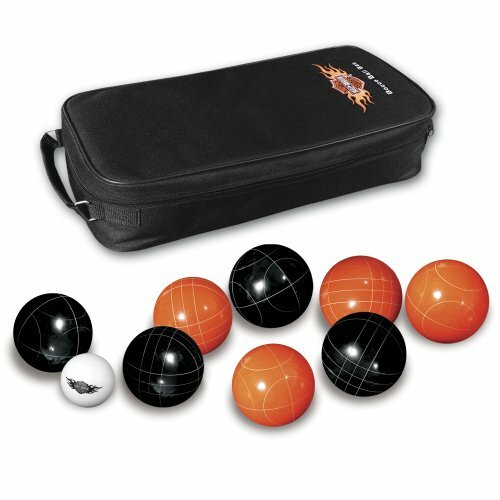 The set includes 4 orange and 4 black bocce balls, 1 pallino ball and a beautiful carrying case for your set. Special - Day and Night Bocce Ball Set combo.